Here at Boerne Orthodontics & Pediatric Dentistry, we want to set your child on the path toward a lifetime of healthy smiles. Not only are your Fair Oaks and Boerne children’s dentist and dental team capable of providing your child with exceptional restoration dentistry services to treat dental problems, but we can also offer preventative methods to help keep these problems from occurring in the first place. 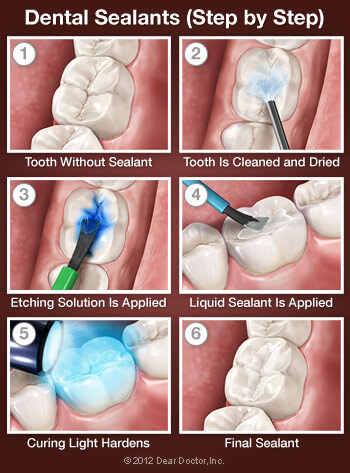 One of these effective treatments that we offer for our patients is our application of dental sealants. 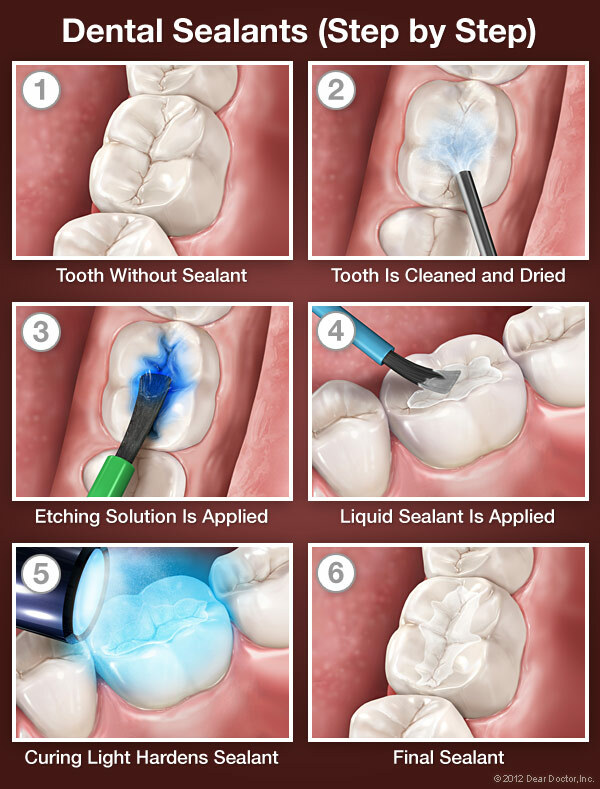 Dental sealants are invisible plastic resin coatings that are placed on the chewing surfaces of the back teeth. 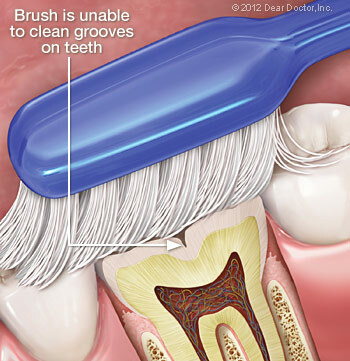 Sealants will smooth out these chewing surfaces and make them more resistant to tooth decay. The chewing surfaces of the back teeth are actually the most likely areas that a child will develop a cavity. This is because these surfaces contain tiny grooves that can trap food particles and bacteria. Even a dedicated oral hygiene regimen may not be enough to dislodge some of the food that gets stuck in these crevices. When food is trapped in these areas for a while, it can lead to tooth decay. Since sealants will smooth out these grooves, they’ll keep food and bacteria from becoming trapped there, which will go a long way in preventing tooth decay. First, the tooth (or teeth) that’s going to be sealed will be examined. If there’s any minimal decay, it’ll be removed. The tooth will then be cleaned and dried. A solution will be applied that will etch the surface to make the sealing material adhere better. The tooth will then be rinsed and dried again. The sealant will be painted onto the tooth in liquid form. After about a minute (or with the help of a special curing light), the sealant will harden. Another great benefit of sealants is that they require the same care as any of the other teeth. Just make sure that your child continues to brush twice per day and floss daily as well. Additionally, remember to take your child to his or her Fair Oaks and Boerne pediatric dentist for professional cleanings and dental exams. This will allow us to check for wear and tear on the sealants. With proper care, sealants can last up to ten years. If you have any questions about our dental sealants, our fillings, or any of our other services, please feel free to contact us and let us know. If you’d like to schedule an appointment with your Boerne and Fair Oaks children’s dentist, we encourage you to give us a call at (830) 455-4063. We hope to hear from you soon!